Many theaters continue to upgrade their venues to have a couple IMAX screens but they may have to make room for another type of visual experience in the future: Virtual reality. 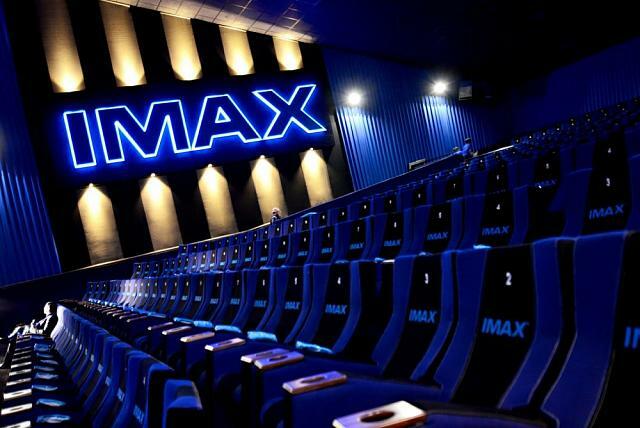 Via press release, IMAX has announced theyve completed the first phase of a $50 million virtual reality fund. IMAX has built its legacy on using innovation and creative collaboration to drive the further adoption of new technologies. Today, we are expanding upon that legacy by teaming up with leaders across the media, entertainment and technology space to unlock a new level of premium, high-quality content for use throughout the VR ecosystem, said CEO of IMAX Richard L. Gelfond in a prepared press release. We will be leveraging our collective relationships with world-class filmmakers and content creators to fund VR experiences that excite and attract a larger user base to capitalize on opportunities across all VR platforms including IMAX VR. The press releases details an initiative that will see money invested in higher-quality immersive content geared toward premium productions from their Hollywood studio and filmmaker partners. In essence, IMAX wants to take the progression theyve made over traditional cinema and make that same leap for VR. The initial push will include the creation of at least 25 interactive VR experiences that will be available across various virtual platforms and also housed in IMAX VR centers. With IMAX involved along with others, an initiative so focused in high-quality such as this will do wonders for VR contents longevity. Weve previously reported on location-based VR centers and VR cameras from IMAX and will continue to cover the developments as they progress. Wow. So it is true that VR is going to cinema? I once created a thread discussing this. Too bad the article doesn't tell what the IMAX VR experience will feel like. So we will go to theaters and put on googles and watch? That's it? Going to be neat to see what this all entails. VR seems to be gaining ground, no? So it's to early to see how it will be if they are just launching pilots, but I think it's great. Also the price would be from $7 to $10, which is not expensive I think. Looking forward to try IMAX take on VR. We have an IMAX theatre here in Ottawa and nature movies at this place always blow my mind. Can use Bluetooth mouse with Vr? By ankydu in forum Which VR are you? By Matty in forum New to the Forums? Introduce Yourself Here!